Production stopped on the Hebron oil platform off Newfoundland on Thursday amid bad weather and reports of smoke, CBC News has learned. 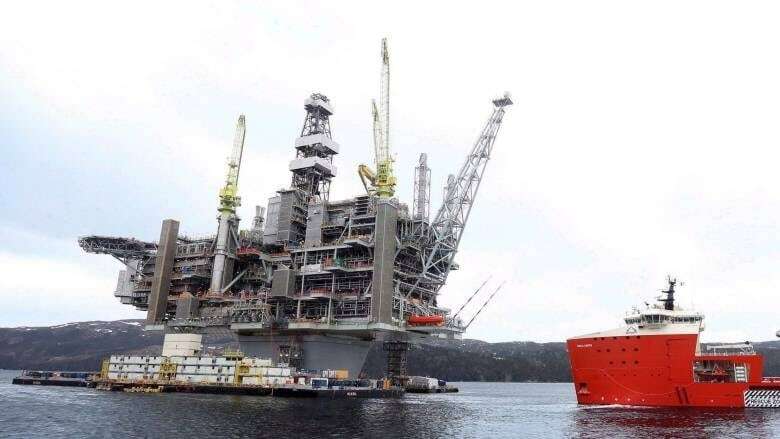 Production remains stopped on the Hebron oil platform off Newfoundland on Friday morning, after bad weather and reports of smoke. "There was a muster [Thursday] afternoon due to reports of smoke in the living quarters," said a spokesperson for ExxonMobil, the majority partner behind the $14-billion facility. "That inspection determined there was no fire," the spokesperson said, adding "all personnel were safe." Because of extremely poor weather and rough seas, the operators halted oil production. More than 200 people are currently on the platform, which is located in the Jeanne d'Arc Basin, 350 kilometres southeast of St. John's. ExxonMobil officials say they are still monitoring the weather and oil production won't resume until weather conditions improve. The Hebron structure is 278 metres high, has a 130-metre diameter through the base, weighs 750,000 tonnes and has living quarters for 220 people.